"Where do I even start with this couple...they are AMAZING! They have a great energy about them and you can tell they love what they do...and each other very much! They both made us feel like they were as excited as we were that we were getting married! I think it's safe to say we had a couples crush on these guys! The two of them made us feel extremely comfortable and where able to really capture who we are. No stuffy, stiff posed pictures...they got real smiles and real emotions from us. All of our wedding party had a blast with them...(I have never seen guys so pumped to take pictures). These two are amazing photographers and amazing people. I will always recommend them to everyone and continue to use them in the future." Click for full reviews. 'Peter and his lovely wife Susannah were photography perfection. After meeting with them for the first time, we knew we HAD to ask them to be there for our big day. We had our engagement pictures taken by The Mahars, which definitely helped us get to know them (and vice versa), which I believe definitely made us more comfortable in front of the camera on our wedding day. After that, they felt like long lost friends! Peter did a fabulous job at *kindly* directing our families while we were taking photos, which is no small task..."
"I seriously cannot give enough praise to match what Peter and Susannah deserve. Not only are their photos breathtaking, but they are the most amazing people you could ever hope to have helping you with your big day. Their personality and friendliness brings out the best in you making for great, unique photos. ...Hiring them was the best choice we could have made! They went above and beyond their duties as photographers and helped give advice and organize our destination elopement. Again, there will never be enough I can say that can explain how great these two are. If you don't hire them, you are MISSING OUT!" Everyone who sees our photos can't believe how beautiful and alive they are, and on top of that how quickly and professionally everything was done... We would absolutely recommend Peter's work to anyone who wants their pictures to be more than photos, and instead tell the beautiful story of your special day." "...They made it easy for us to just enjoy the day being us and celebrating with a great party with friends. We have loved looking over our photos and reminiscing (we really can't get enough!). They also did a great job getting the photos out in an amazingly timely fashion- especially for how beautiful/high quality the photos are. Peter and Susannah are true artists of their trade and we are so grateful they chose this life path!" "Peter and Susannah are everything you could possibly want in a wedding photography team. Seriously. They stepped up in every possible way and we couldn't be happier with our experience. Not only were our wedding photographs well-composed, of the highest quality, and outright STUNNING... but Peter and Susannah were absolutely wonderful to work with. ...We trusted Peter and Susannah from start to finish, and I can't tell you how nice and reassuring it was to just KNOW that our wedding photographers would do an outstanding job documenting our wonderful day. One of the main reasons I selected Peter and Susannah to photograph our wedding is because of their talent for capturing joy and emotion. The images that they (quickly!!) 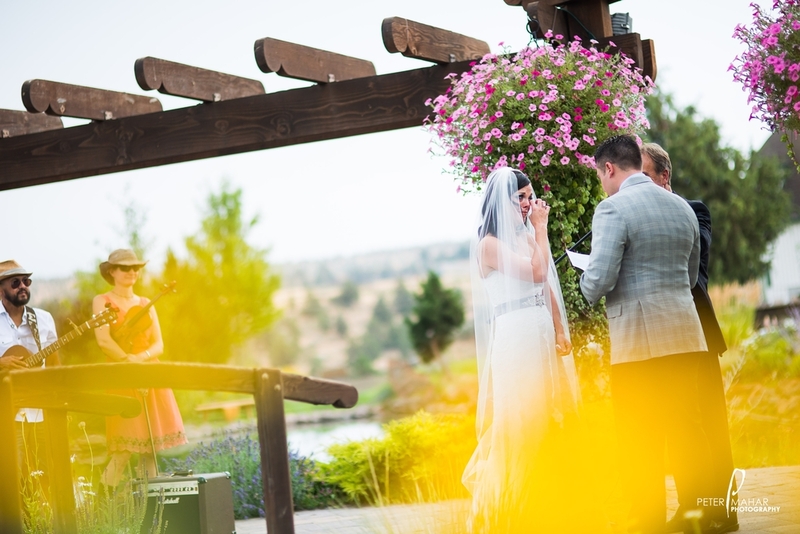 delivered to us shortly after the wedding did not disappoint––there was SO much emotion in each and every shot." "Having Peter and Susannah photograph our wedding was, in every way, the best decision we could have made for our day. I told Peter that the reason we chose him was that I felt like I knew his subjects just by looking at his portfolio- they REALLY are that amazing. The photos they captured for our wedding exceeded our every expectation and honestly take us right back to those moments when we look at them." "We feel like they capture the mood of the day and all of the love that we felt/fun we had. They are a team that compliment each other so well, Suzannah is so calm, it was really nice to have such a relaxing presence while we were in the chaos of getting ready...Peter on the other hand is full of energy and amazing at making you laugh and feel great about yourself."